As you may have learned, Apple is planning on finally releasing its biggest tablet ever this Wednesday, on November 11 to be precise. That's when you'll find the iPad Pro on sale in more than 40 countries, starting at $799. But what if the ordinary color versions used by Apple simply don't satisfy you? What if you can't buy a tablet that isn't gold-plated? Well, thankfully, Goldgenie is here for your needs. 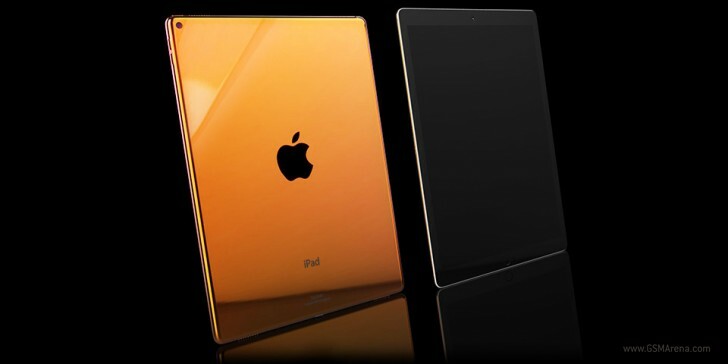 The metal-plating experts have already started taking orders for three different iPad Pro versions. One is gold-plated as you'd expect, another uses platinum, and the third goes for "rose gold" (pictured above). Gold is the cheapest material. For a gold-plated 128GB iPad Pro you have to pay £1,855. The rose gold option costs £1,913.34, while the platinum tablet will set you back £1,970.84. In all cases the storage space is the same, and you can choose either a white or a black front. All of these iPads have 4G LTE connectivity built-in. To pre-order you need to put down a 50% deposit. You get free worldwide shipping on any order. Obviously, the internals are left unchanged by the plating process, so these iPads still have a 12.9-inch 2,048x2,732 touchscreen, Apple's A9X chipset, 4GB of RAM, an 8 MP main camera, a 1.2 MP front-facing camera, and support for the Apple Pencil stylus. You're delusional. Android users are switching to Apple, not the other way around. iOS is so much better so it's understandable. I'd never use anything else.